If you’re anything like me, you’re always looking for a natural way to better health. I realize that I don’t always eat right and it’s really hard to get the essentials you need on a daily basis, from your diet. One day, while watching HSN (I do that a lot), I saw what seemed to be a nice, informative man (Andrew Lessman) talking about his vitamins. When heard him describe the ingredients in his Ultimate Antioxidant, I realized that it was somewhat similar to another product I was currently using, however, his were a little less costly. So, I figured I’d give it a shot. I ordered the Ultimate Antioxidant several years ago and I’m never without it. As you can see, Ultimate Antioxidant is chock full of great stuff! I notice I have less colds since I’ve been using this product. My daughter uses it as well. Another favorite that I just started to use, is Turmeric-200 Ginger Root-200. 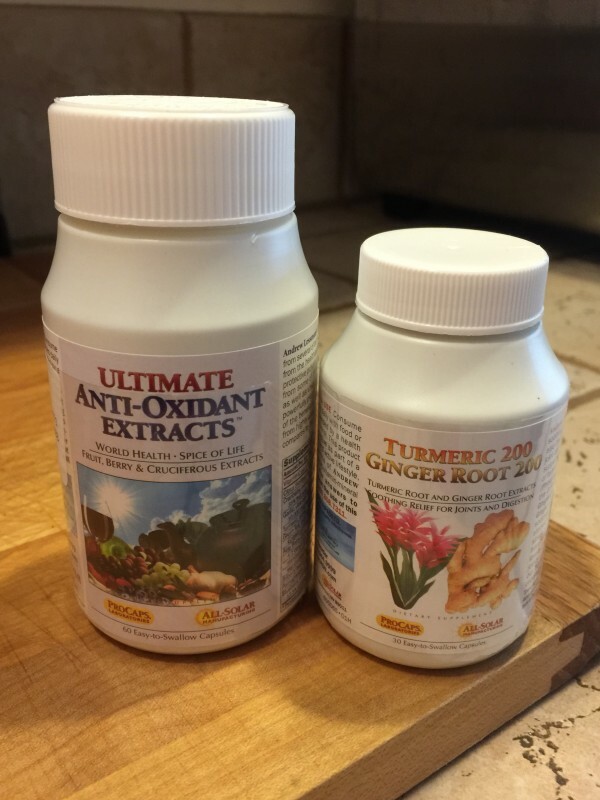 I began taking Ginger and Turmeric supplements to help with inflammation due to Rhematoid Arthritis. (Please note, this is not medical advice, just an opinion). I was previously taking a Ginger supplement and a Turmeric supplement from another company. While I was ordering my Ultimate Antioxidant one day during an HSN special, I scrolled through Andrew’s products, and I saw that he had a supplement combining Ginger and Turmeric. So, of course, I ordered it. It seem to do the same job as my other brand supplements where I was taking two capsules instead of just one combined. My favorite thing about Andrew’s products is that most of them are in a powder form in a capsule. Not a rock tablet. Much easier to swallow and absorb. Andrew has many many five star reviews on these two products on HSN. You can go and read them for yourself. I use a few other of his supplements which I will save for another article.